The J.P. Club was conceived from the desire to create the perfect space for a truly unique and exclusive experience. 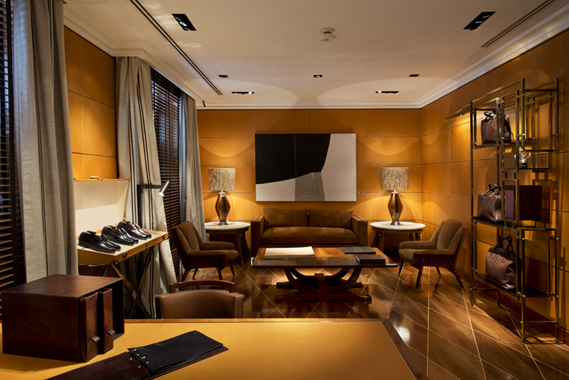 A space that epitomises the craftsmanship, the sophisticated attention to detail and the excellence of Tod’s savoir faire. Either in the Milanese boutique in Via della Spiga, or in the exclusive Rodeo Drive in Los Angeles, the J.P. Club is an exclusive and stylish niche where privileged customers can immerse themselves in the comfort of a living room; a perfect balance between tradition and modernity where they can acquire expert advice and taste a fine blend whilst making the right choice: their own.